Security doesn’t require a robust understanding of networks and computers. Most of it comes down to non-technical actions and using common sense! 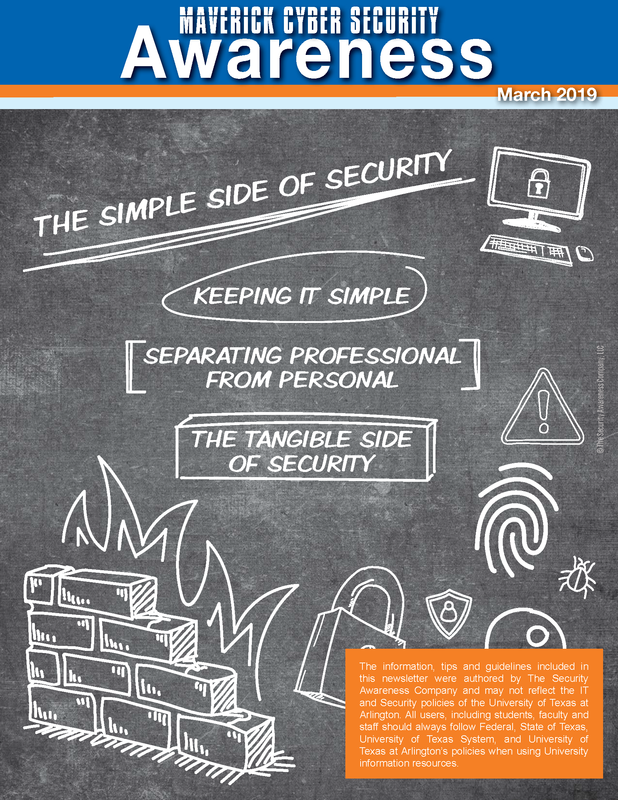 In this edition, we jump into the simple side of security with a quick overview of what it means to use non-technical security awareness, and why it’s important to separate your professional life from your private life (such as with BYOD, or bring your own device). 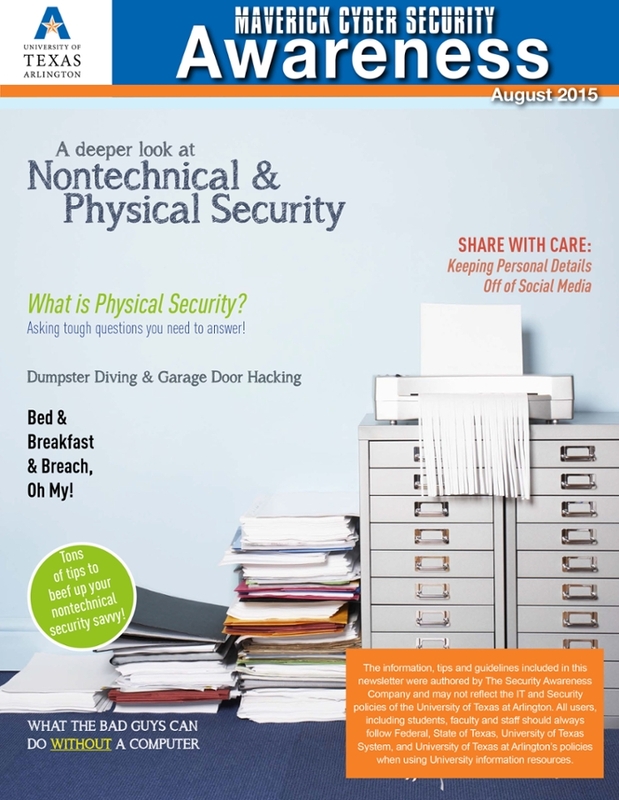 We wrap things up in the physical world by highlighting a few real-life examples of physical security events. 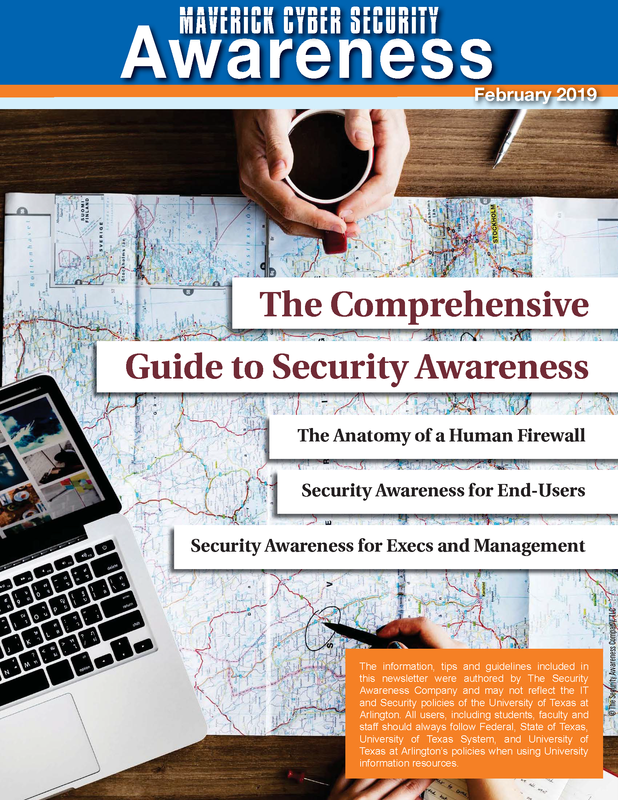 Comprehensive Guide to Security Awareness: Kick the year off with a comprehensive overview of how to prioritize security awareness in your life, both personally and professionally. 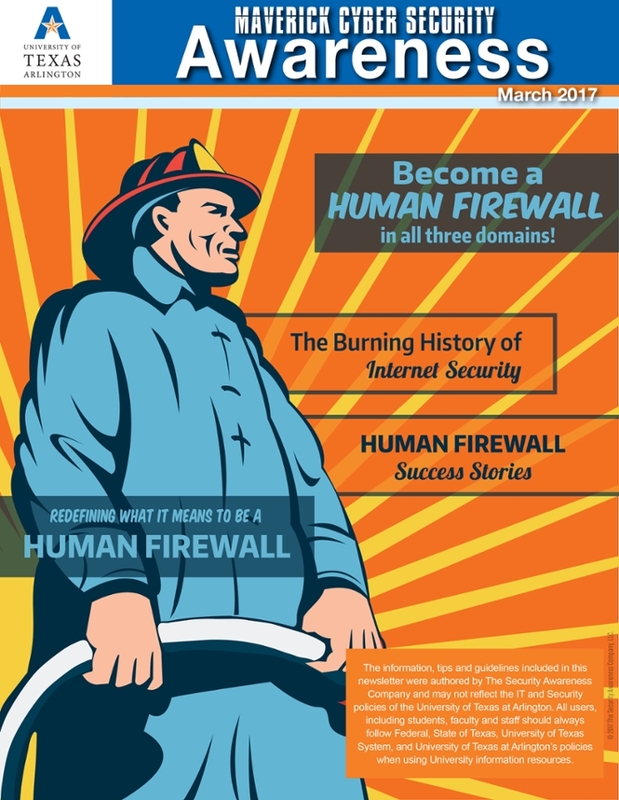 This guide digs into the specifics of what it means to be a strong human firewall, and why we place so much value on things like strong password practices and following policy. 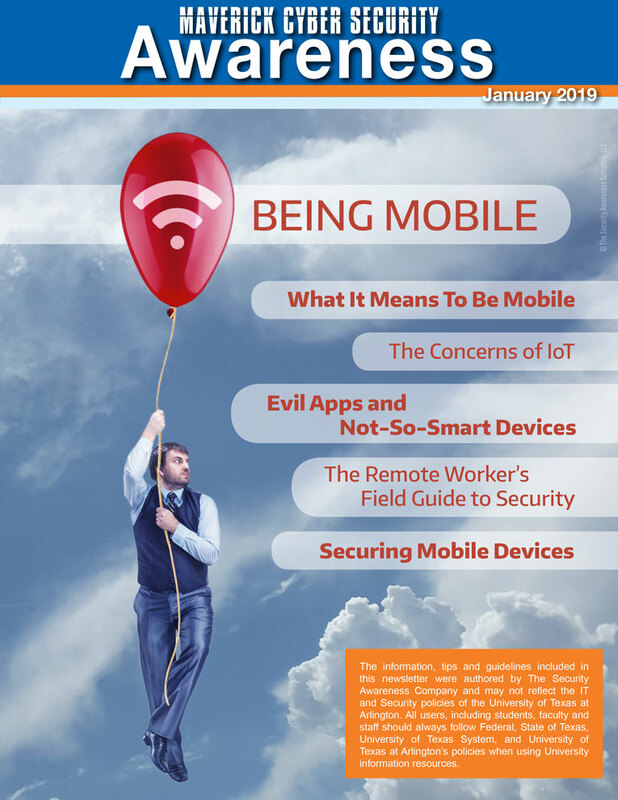 Today, mobile refers to a massive web of connected devices (the Internet of Things, or IoT). It isn’t about simply having access while on-the-go. It’s about having control of nearly everything from the convenience of a smart device that fits in your pocket or straps to your wrist. Unfortunately, lost in this world of smart connections is the prioritization of security. New technology rarely comes stocked with features that improve resistance to cybercrime. Quite the opposite, in fact. 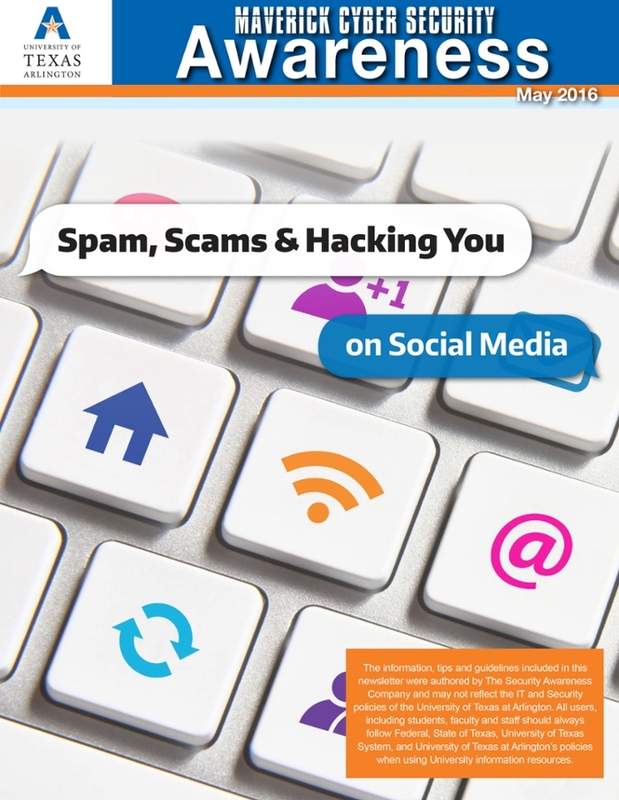 From advance-fee scams to spoofed email addresses, phishing has long been the go-to attack in the social engineer’s playbook. 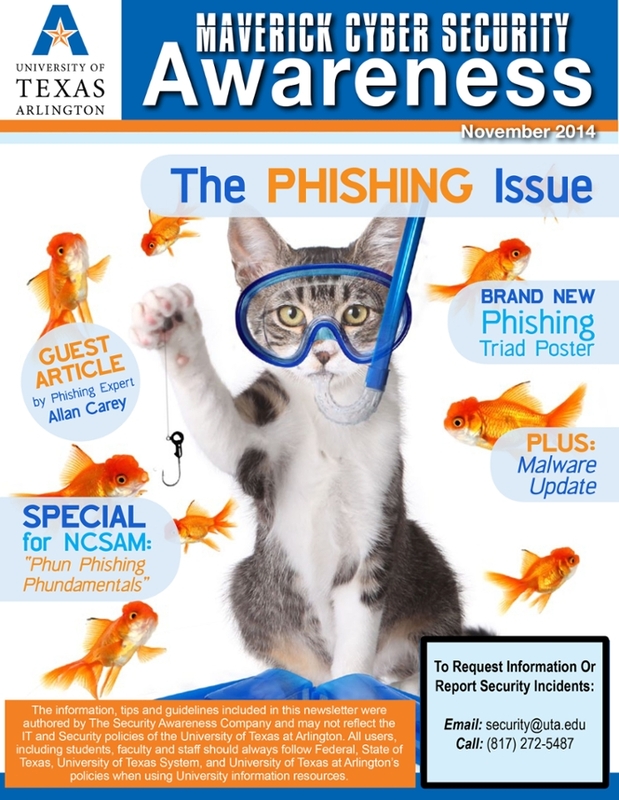 In this month’s issue, we cover why phishing works via a real-life example, and highlight the obvious signs of an attack with a phishing identification checklist. 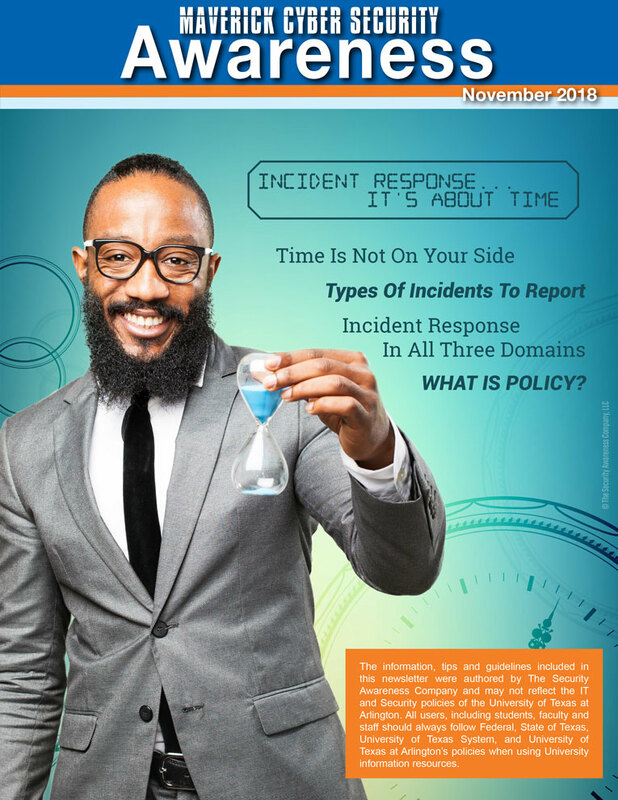 How much damage can a security incident cause in one minute? How much damage can that same security incident cause if left unreported for one hour? Is that 60 times the potential damage? Or what about one day or even a week or longer? Passwords have been around for centuries… ever since humans felt the need to password-protect something (the right to enter or pass, for example). 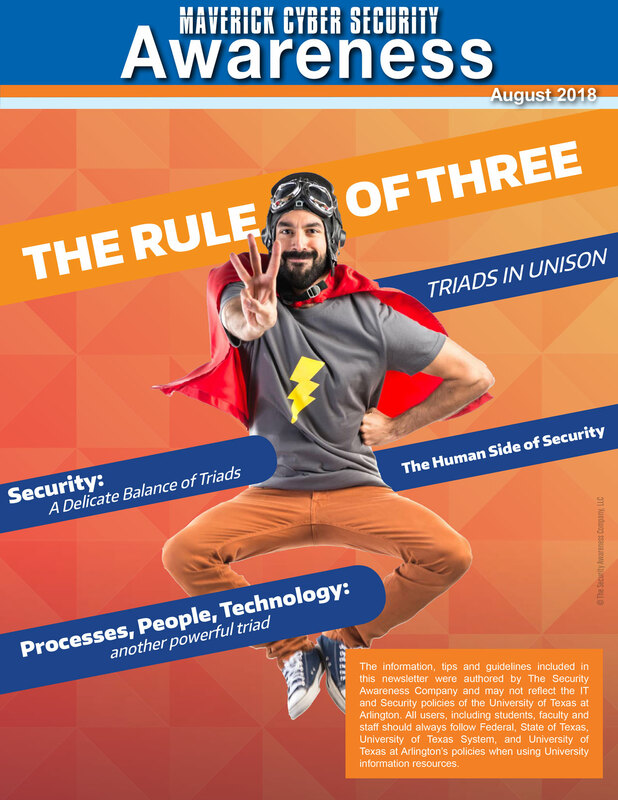 Fast-forward to today and the need for strong identification and authentication is more important than ever. There is no shortage of technical solutions for defending organizations against cyber threats. 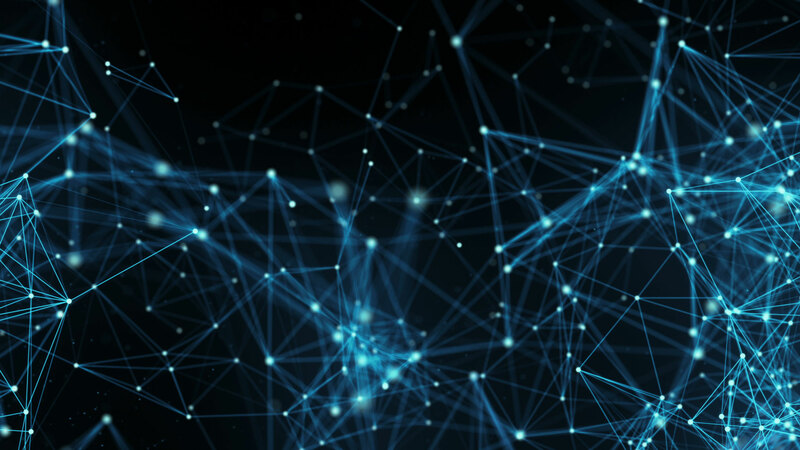 A quick internet search yields many options for threat detection, threat prevention, and a variety of other services aimed at keeping data secure. But security, at its core, is a people process. The number three surrounds us. We find it in mathematics and science. Only three primary colors are needed to mix most other colors (red, yellow, blue). The three-act structure is the predominant model used in screenwriting (the setup, the confrontation, the resolution). The social media explosion over the last several years has created a cultural phenomenon where seemingly everything is documented. From dating apps to neighborhood watch groups, information has never been more accessible, nor has its life cycle been so infinite. What happens on the internet, stays on the internet. 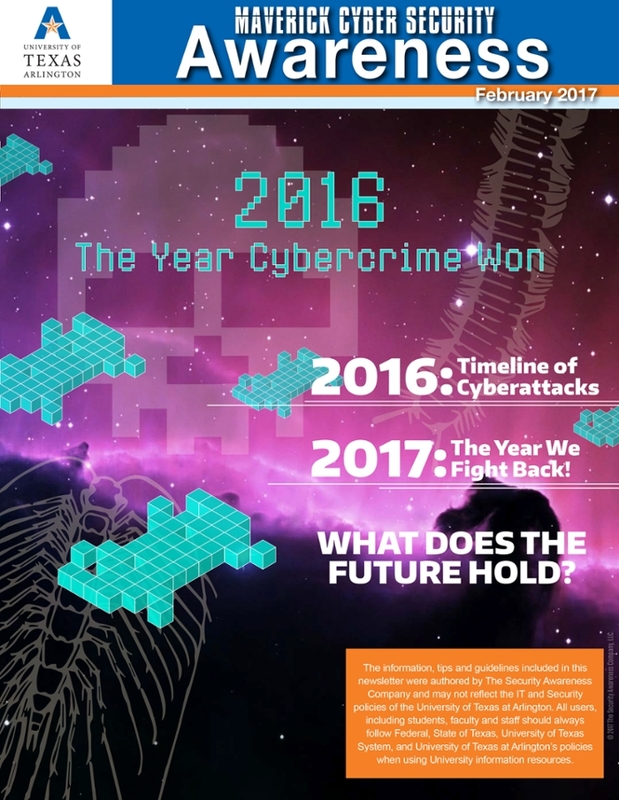 Last year, cybersecurity took center stage not just in boardrooms, but in the media. It’s not just a C-level concern, but something that affects every one of us, at both professional and personal levels. And if the first few months of 2018 are any indication, it’s not slowing down. It seems like data breaches are always in the news. What can you do to protect the University's data as well as your own? 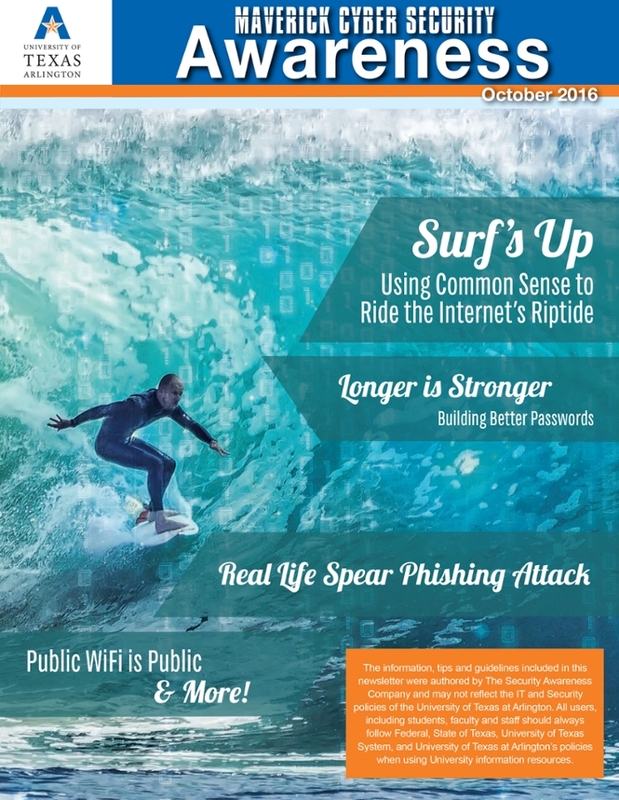 Check out this month's newsletter to learn how to protect your data and privacy when storing, transferring, and even hot to safely destroy the data once it has reached its end of life. 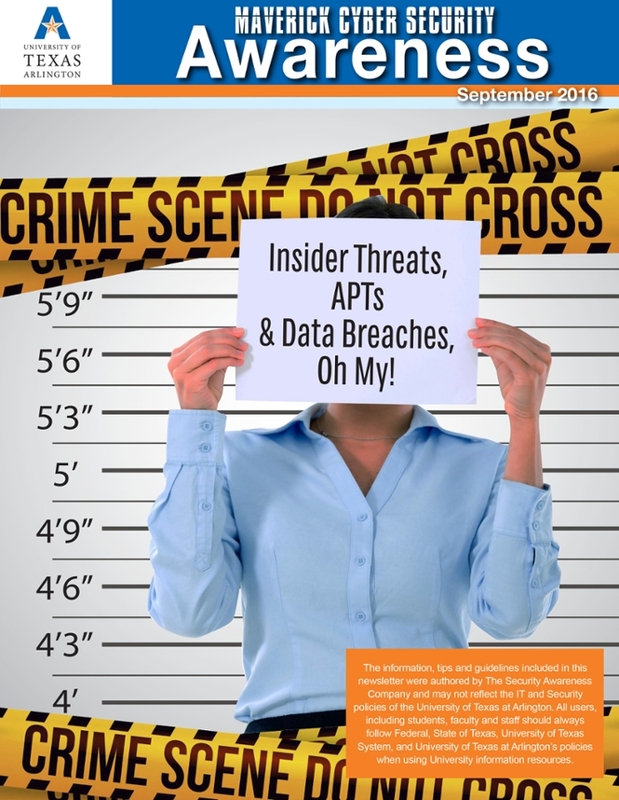 Cybercriminals target organizations of all shapes and sizes. But we also must contend with insider threats, whether they be accidental or malicious. Ensuring that sensitive information stays safe throughout its lifecycle means assessing our vulnerabilities both internally and externally. Whether you have to follow compliance mandates for work or not, across the globe we are all affected by their rules and regulations. Consider the amount of data you must provide for general services like utilities and health care. Have you ever wondered who has access to that data, or how it’s being protected? Every organization has a unique culture—a shared behavior that shapes the way employees and business partners interact with each other. 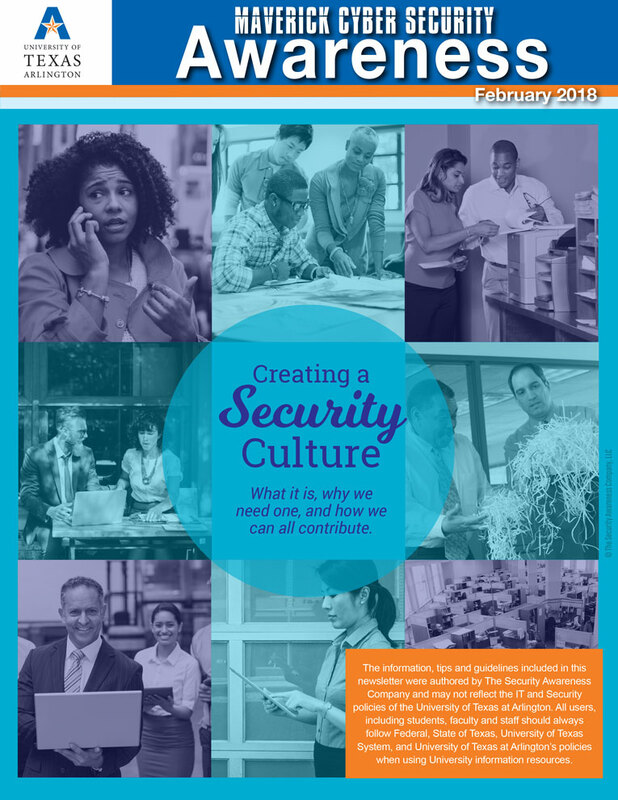 One of the most important parts of that culture is security awareness. The potential to have your data or the University's data compromised is real and can happen easier than you think! Someone trying to get access to the data may be able to without even getting to your computer. 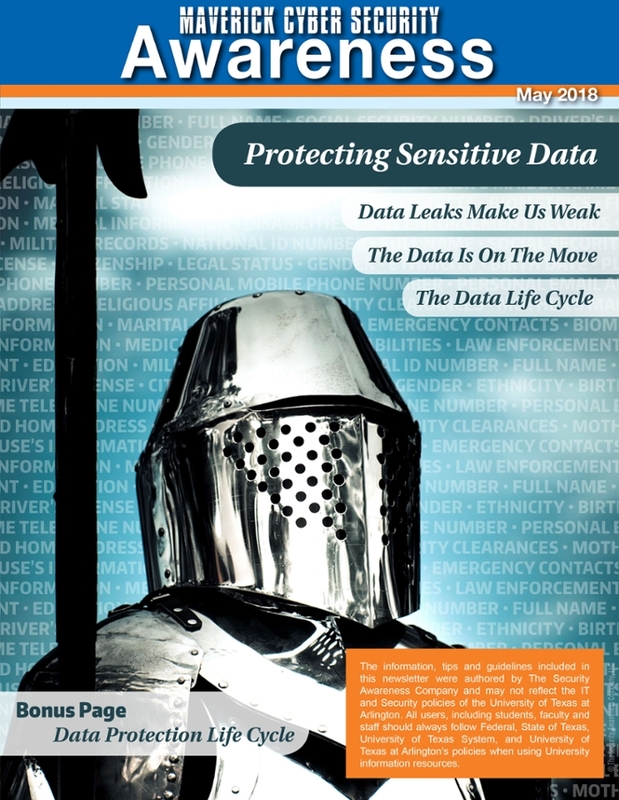 Check out this months newsletter to see how data can be stolen, and how you can prevent it. Do you know the difference between privacy and security? Understanding how these two concepts work together, and how they differ, is key to improving our overall defense. Cybersecurity is a human process that social engineers attempt to exploit in many different ways. 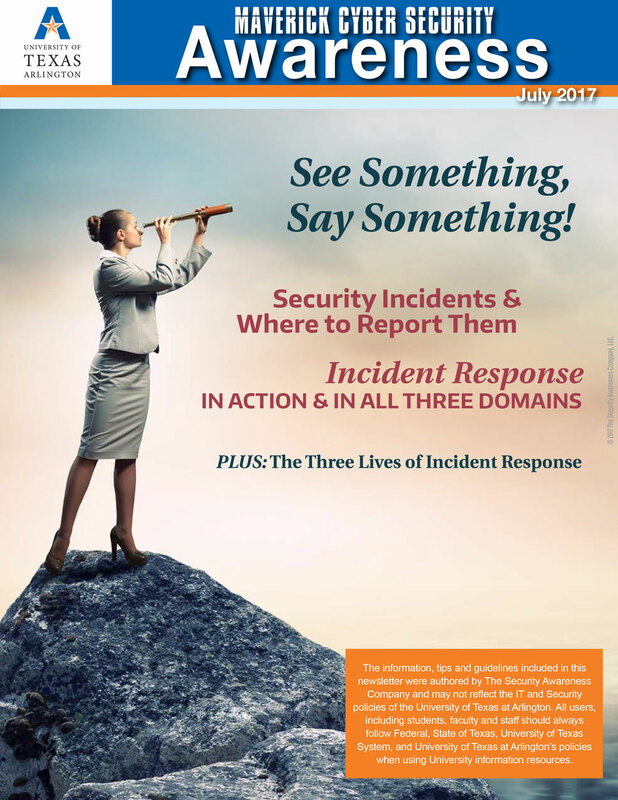 From phishing to tailgating to dumpster diving, we need to be aware of the threats we face in all three domains (cyber, physical, people). Imagine a world where your refrigerator orders groceries on your behalf, which are then delivered by computer-controlled drones or driverless vehicles. 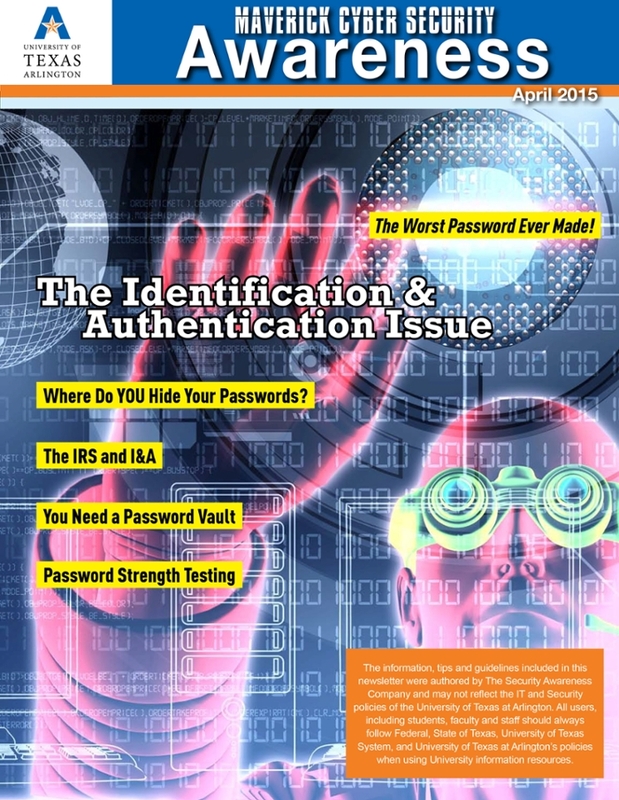 It’s often said that passwords are the first line of defense when it comes to information security. But is that still the case? 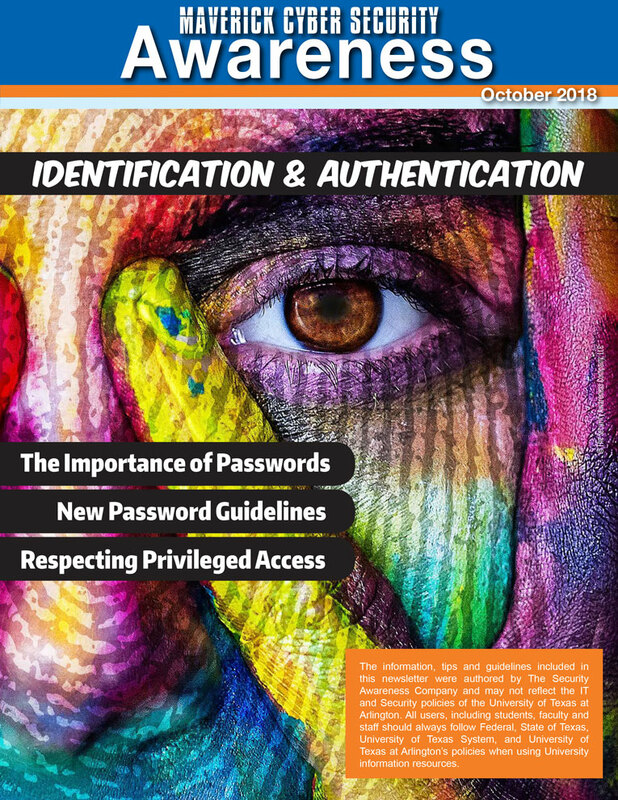 And what does the future hold for identification and authentication? Are biometrics any better? How much is your computer worth? What about your smartphone? Your identity? 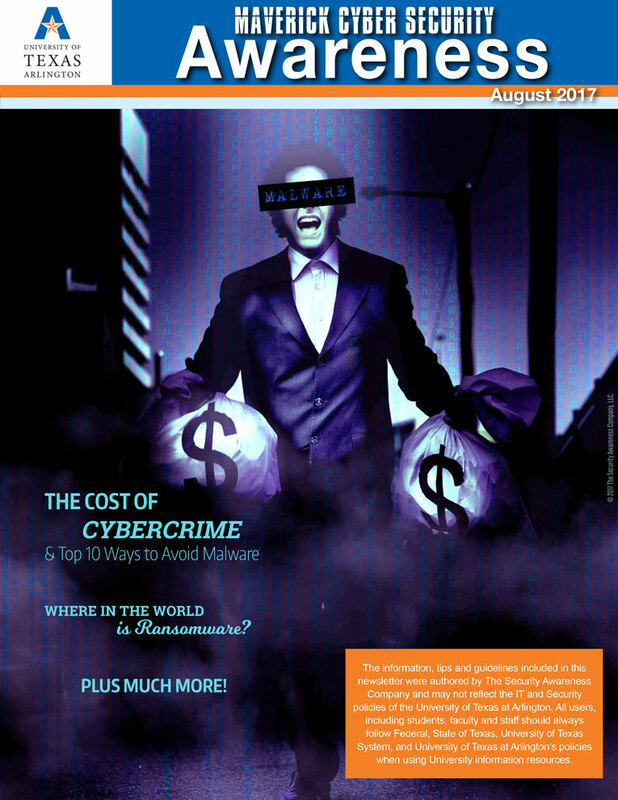 Everything has a price and cybercriminals are looking to profit. Security incidents are going to happen, sometimes because of mistakes and sometimes because of things beyond our control. Most of us never think about how much work goes into the way we communicate. When we do consider the greatness of the networks that connect us, we should treat them with respectful caution; respect for the power that flows through the cables, caution for interacting with the people who want to do us wrong. Knowledge is power. And, in this case, that power enables us to protect ourselves, our organizations, our families, and our friends. Check out our collection of top ten lists and see how they can be applied to your everyday life at work, at home, and on the go. 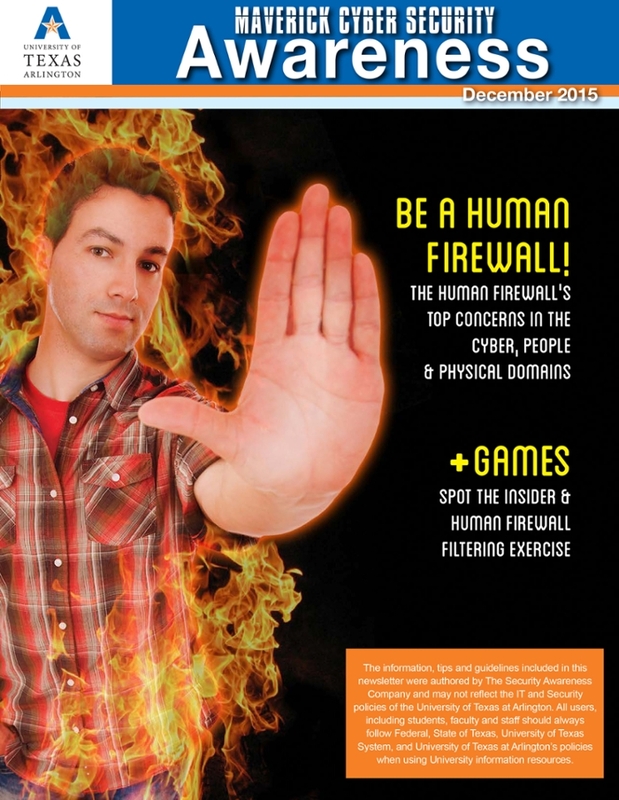 Remember that each and every one of us has it in ourselves to be a strong human firewall and combat cybercrime. We are surrounded by the number three. 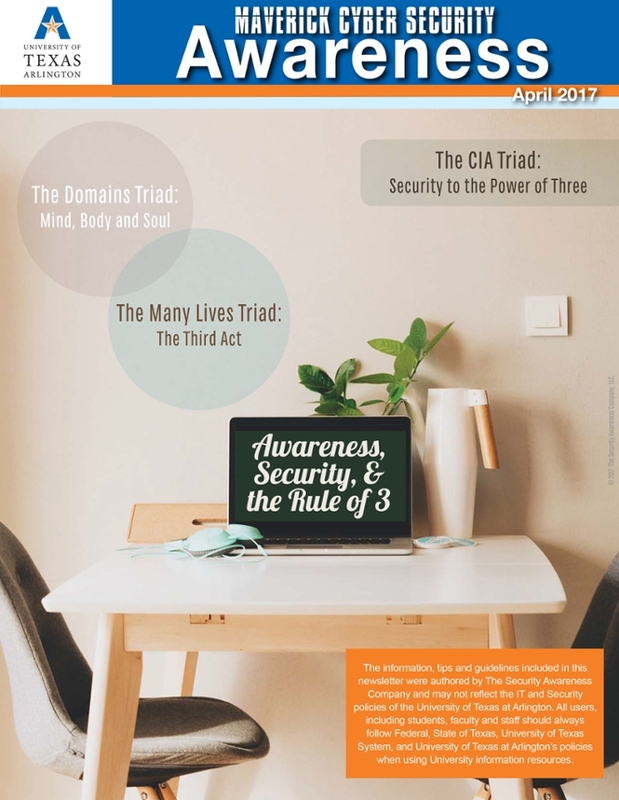 When arming cyber-aware citizens on the third rock from the sun, we rely on three security triads: The CIA Triad, Domains Triad, and Many Lives Triad lay the foundation of what it means to be secure in every aspect of the ongoing battle against cybercrime. Whether you know it or not, YOU are a human firewall. That is not up for debate. It’s just a matter of how good you are at being one. As a human firewall you have a lot of responsibilities. The good news is that those responsibilities don’t require strong technical or computer skills. Cyber threats are not going away. Most experts think the Security of Things will get worse before it gets better. Tech companies will continue to release products rife with security flaws, errors or misconfigurations. 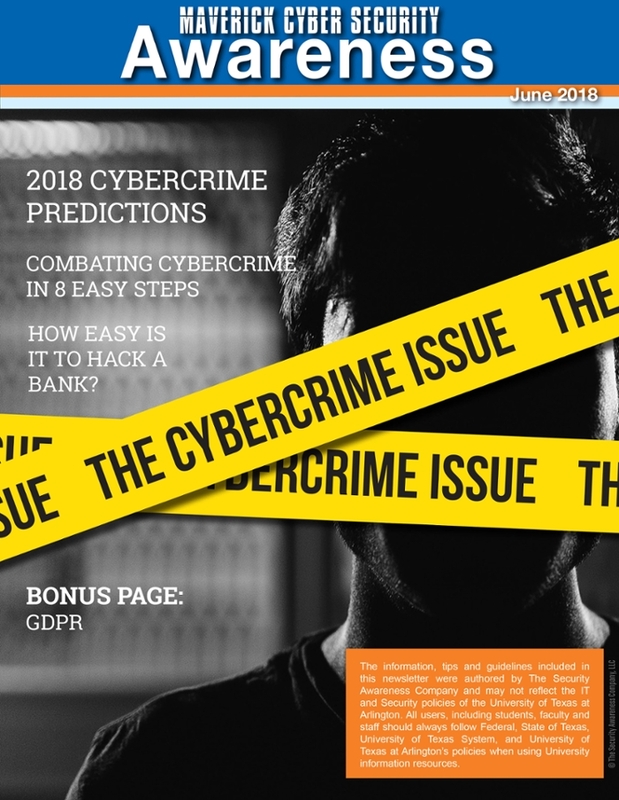 Cybercriminals will continue to discover new ways to find and steal data and to compromise organizations. No piece of information security technology, like biometrics (fingerprint scanners, facial recognition, etc. ), is totally secure. There is always a way to enter, bypass, fool or otherwise render security ineffective. At the same time, we can’t just sit around and wait for it to improve, just like we can’t sit around waiting for tech companies to enhance security features, or for governments to regulate tech companies. 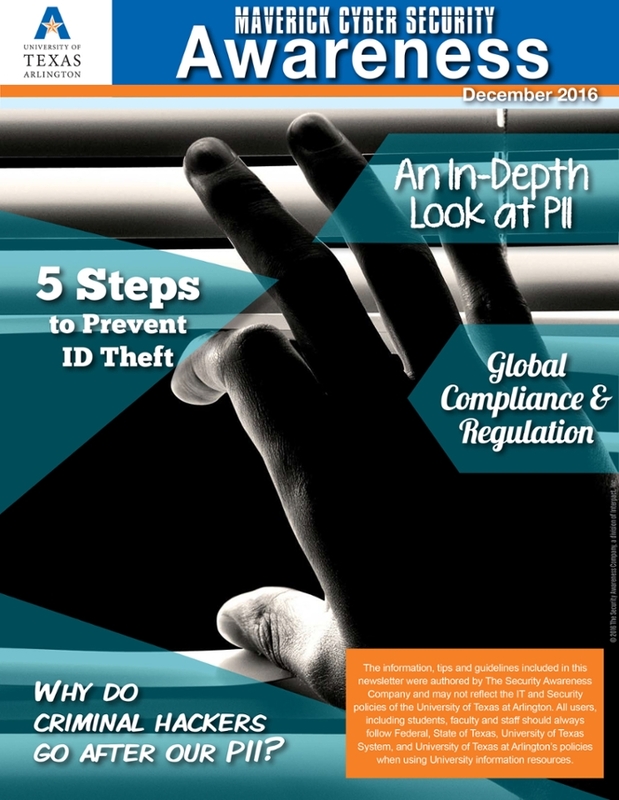 PII stands for Personally Identifiable Information. But what info is considered PII? And what info isn’t considered PII? Those can be tough questions to answer. 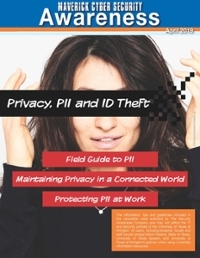 PII is any data that can be used to specifically identify an individual. But that’s rather vague and can be confusing. 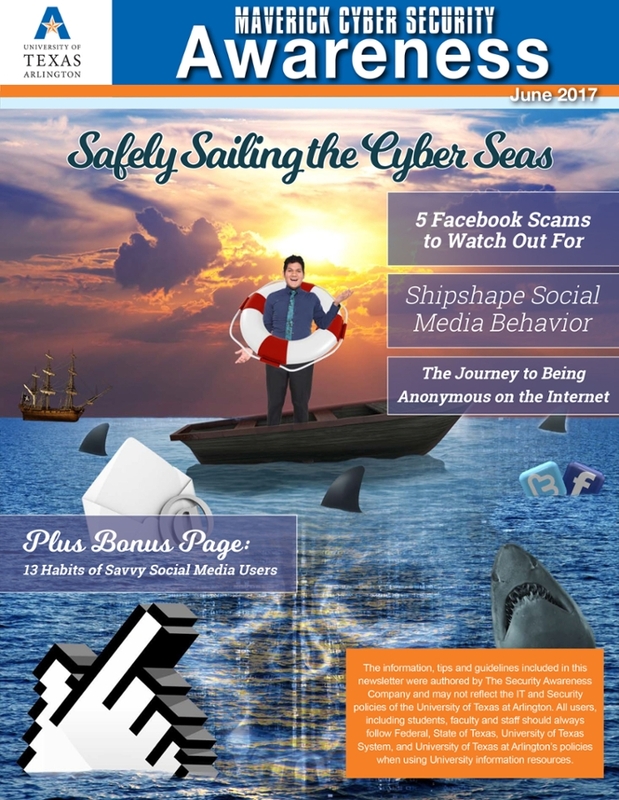 In this issue we will clear up these questions and more. Malware is any malicious software, script or code installed on a computer that alters its function in some manner without permission. It might be malicious or it might not be. Malware comes in all shapes and sizes and can go undetected for long periods of time. From our homes to our mobile devices to our computers at work, we are connected, we are surfing. If we’re not doing it safely, we can easily drown in a sea of malware, spyware, viruses and even identity theft. E-commerce has taken over the way we do business, which means there’s a lot of sensitive information being exchanged. This opens more doors for criminals. Instead of going after goods and services, they can target our data (and yours) without even leaving home. The worst thing any of us can do is assume we’re not a target. 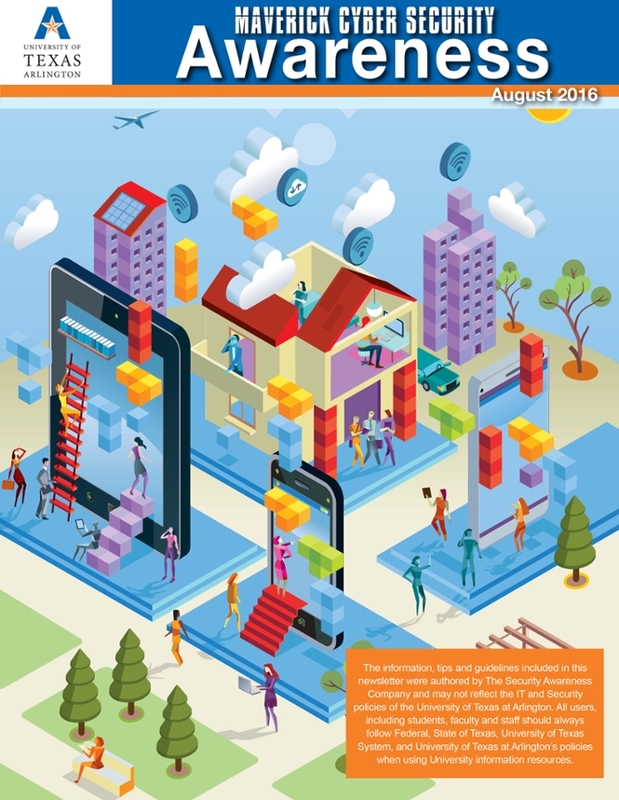 Because of mobile devices and the cloud, we live in a world of constant access. Which means we need to be constantly vigilant to avoid scammers. Do you know what to do if you lose your smartphone? Do you know what data Google collects on you? 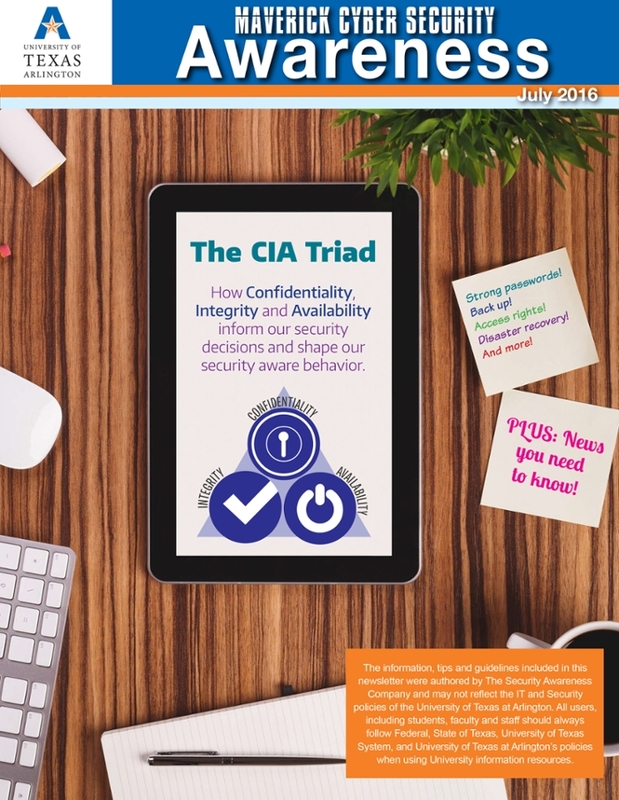 The CIA Triad is one part Confidentiality, one part Integrity and one part Availability. As a whole, it is the single most crucial element to protecting sensitive data. Failure at any one level can lead to failure at every level. It’s our duty to not only keep data private, but also make sure it is consistently accurate and accessible for authorized users. Maintaining a healthy life-style is a challenge even for the best of us. Our busy lives make it difficult to eat right, exercise regularly and get enough sleep. But, when we make a habit out of all of those things, it comes a bit more naturally. 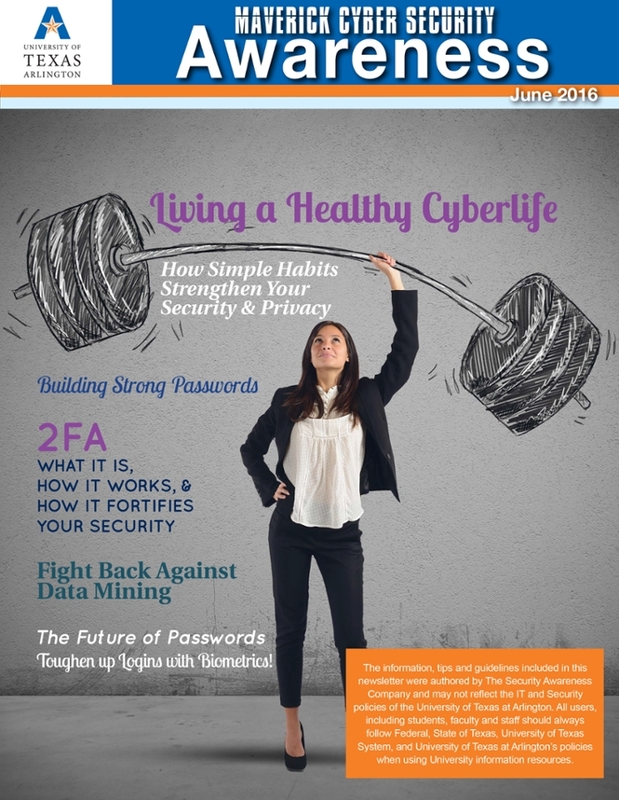 In this issue we want to help you achieve a healthy cyberlife by practicing good security habits on a regular basis. 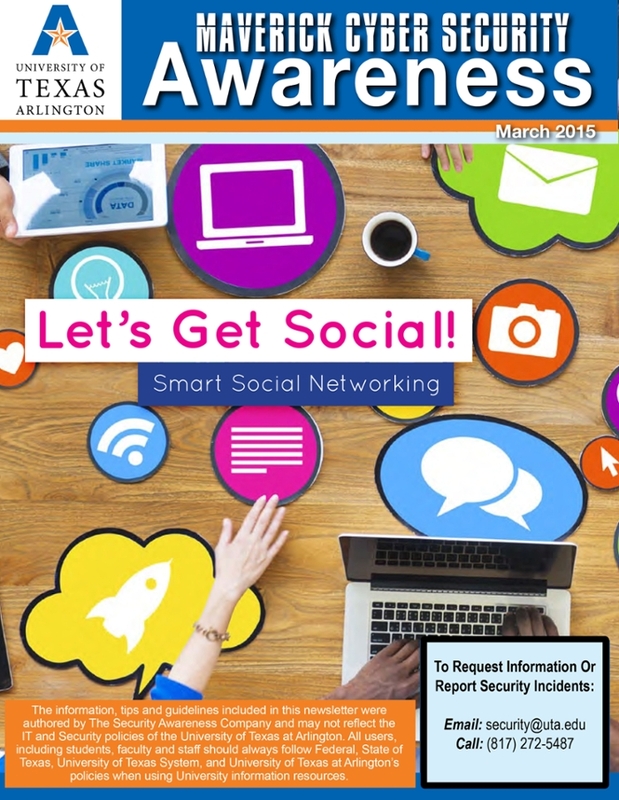 Your email, LinkedIn, Facebook, (all social media) and even your text messages can pose potential security threats. With a little security awareness you can learn to identify and avoid such threats by using simple common sense and easy to follow security practices. The path to great security awareness doesn’t begin and end at work, you must also be vigilant at home and in your personal lives. 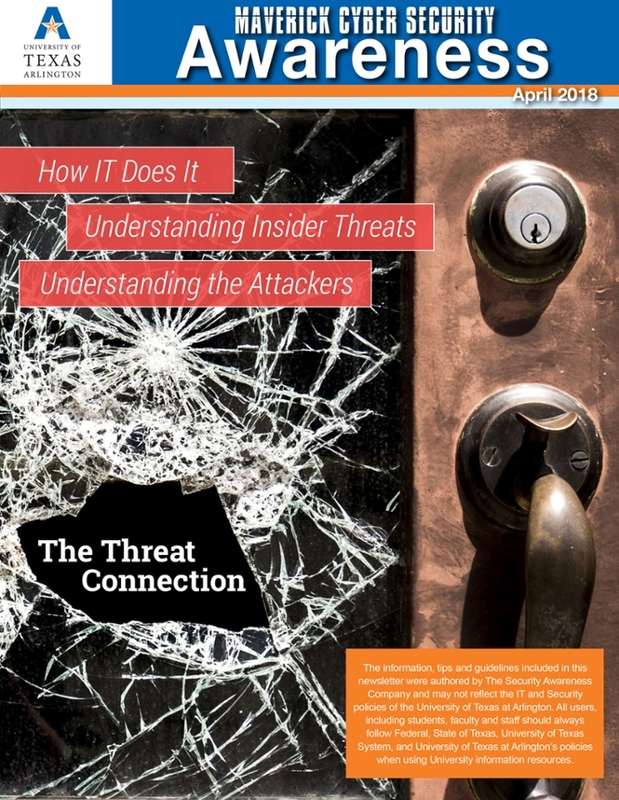 In this issue we discuss the steps you can take to protect your home network and PII (personally identifiable information), and what steps can be taken to avoid ransomware. 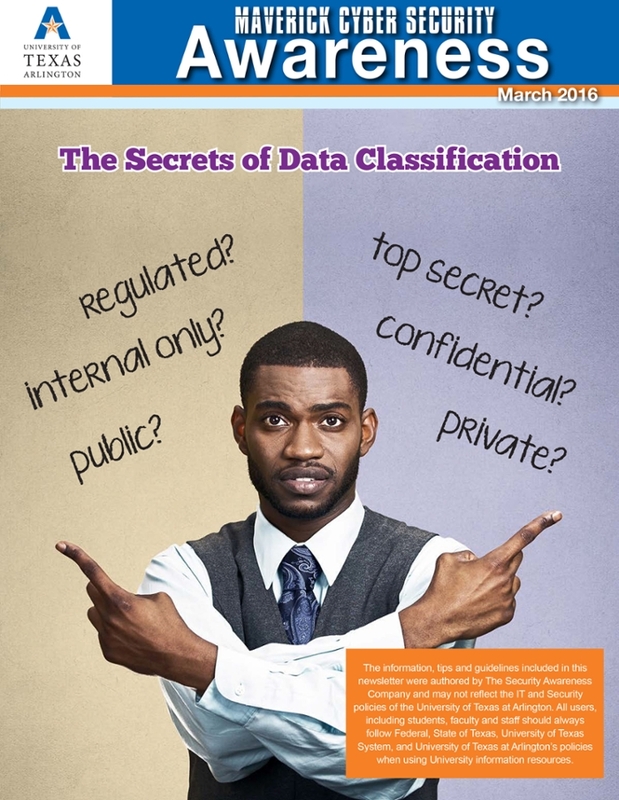 Data classification is essential to our everyday lives, both at work and at home. In general, data can be classified into one of four sensitivity levels: public, internal use, regulated and confidential or top secret. Do you know the sensitivity levels of the data you handle at work? 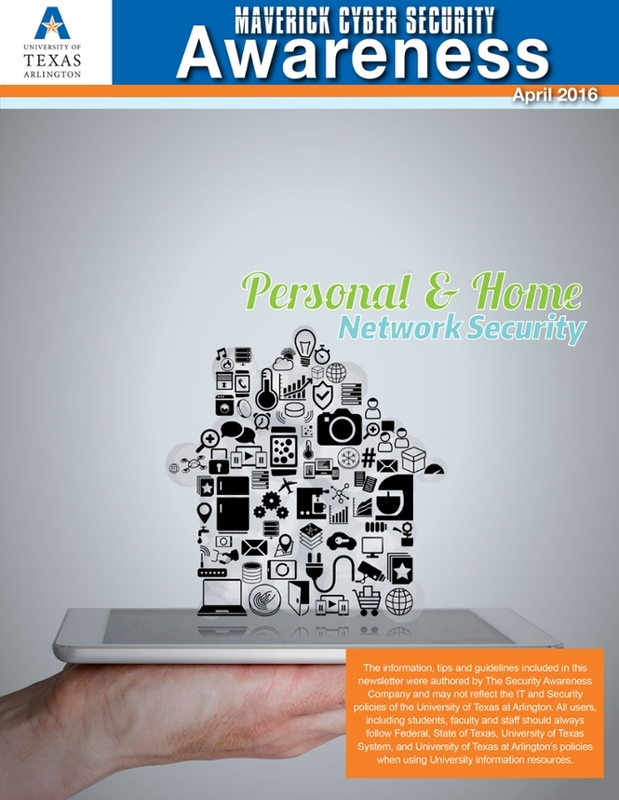 How do you handle your personal data at home? People remember things best in groups of three. 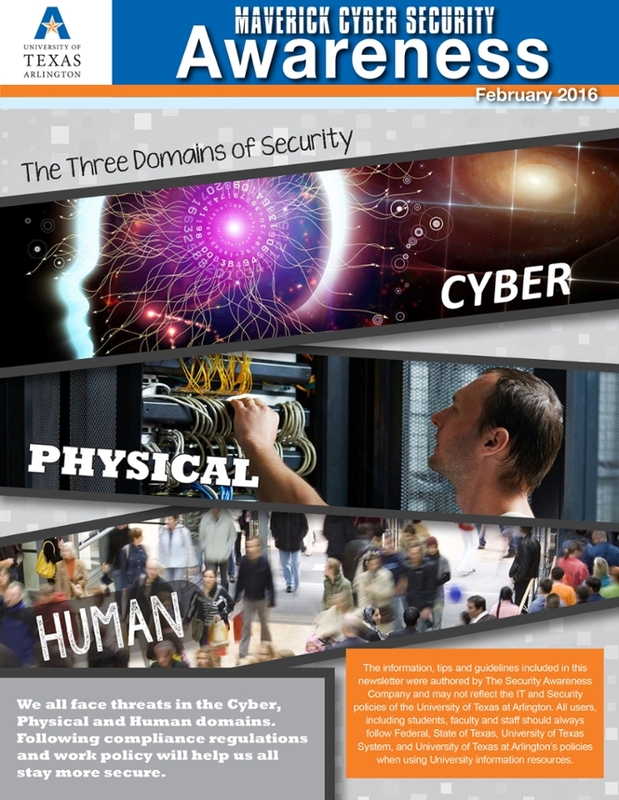 In this issue, we are exploring in depth the Three Domains Triad, which consists of the Cyber, Physical, and Human domains. 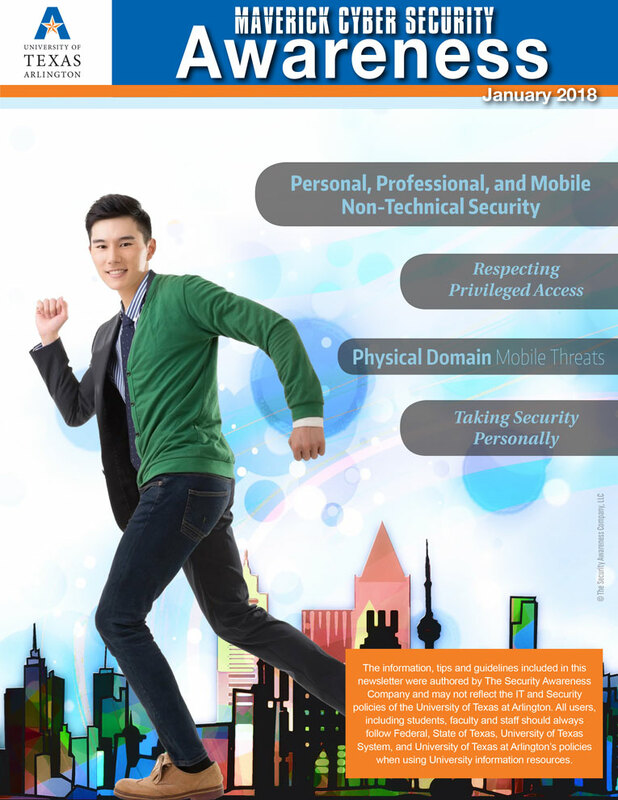 Each domain has its own unique security risks that a security savvy person must be aware of and prepared for. If you could only have one food for the rest of your life, what would it be? What are your three top wishes? 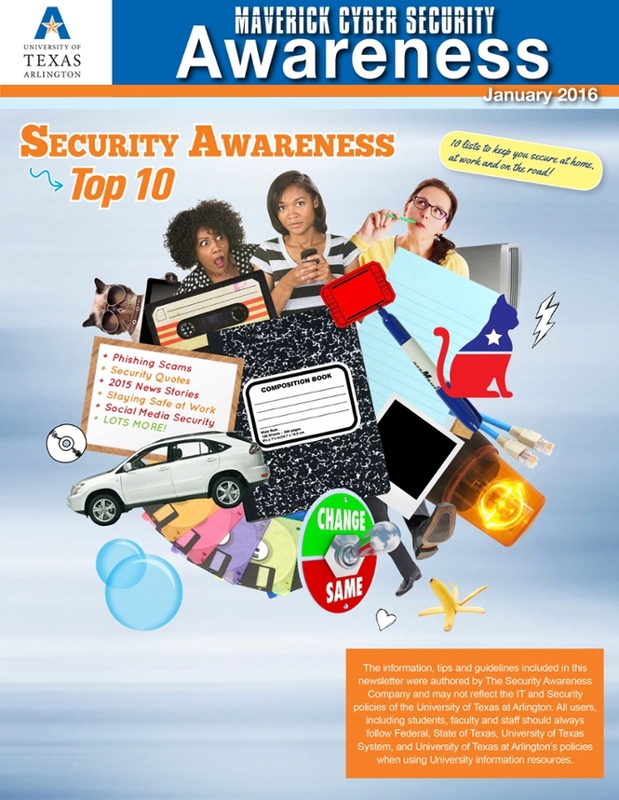 What are your Top-10 best security behavior and practices at work and at home? 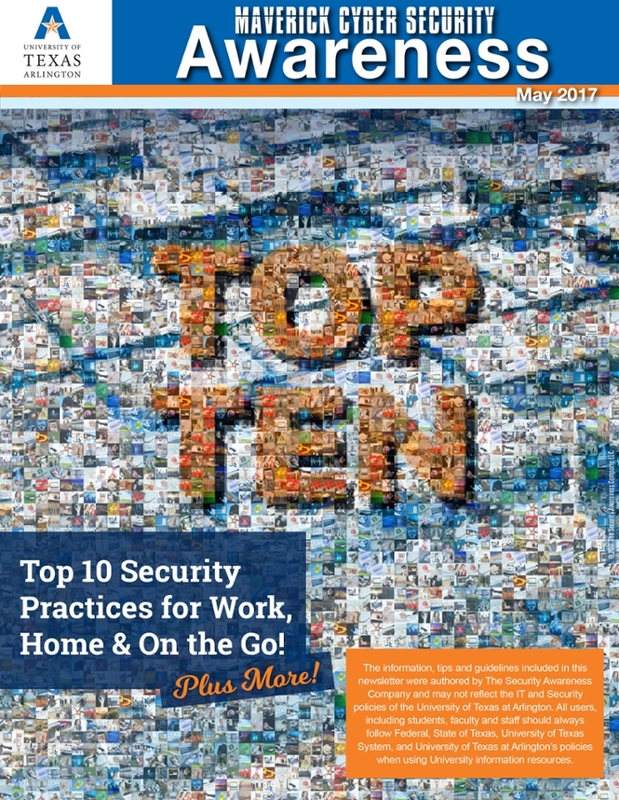 In this issue, we even take Top-10s further, by introducing the Top-10 of Security Top-10s! We may not think about it, but we all need to be human firewalls and understanding just what that entails in our professional and personal lives, might seem complicated or overwhelming. 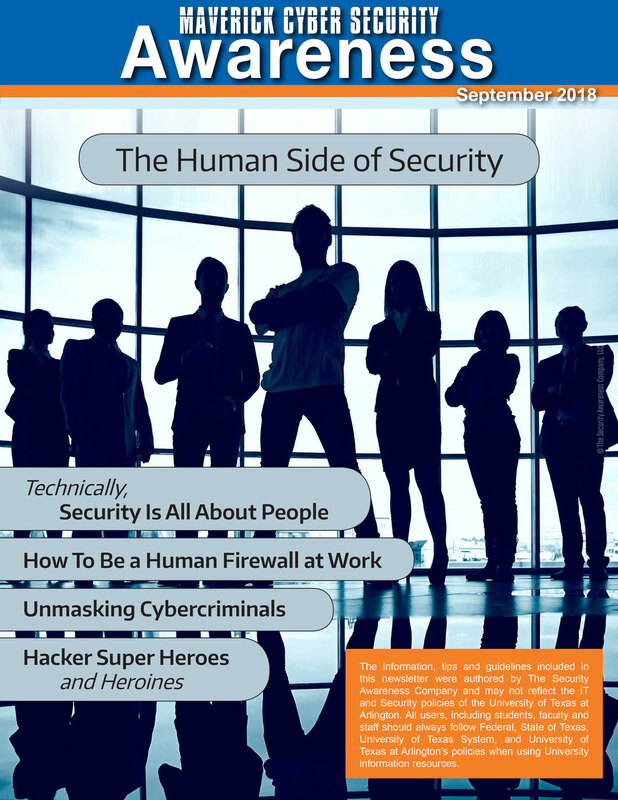 In this newsletter, we take a look at the top concerns of human firewalls both at work and at home. 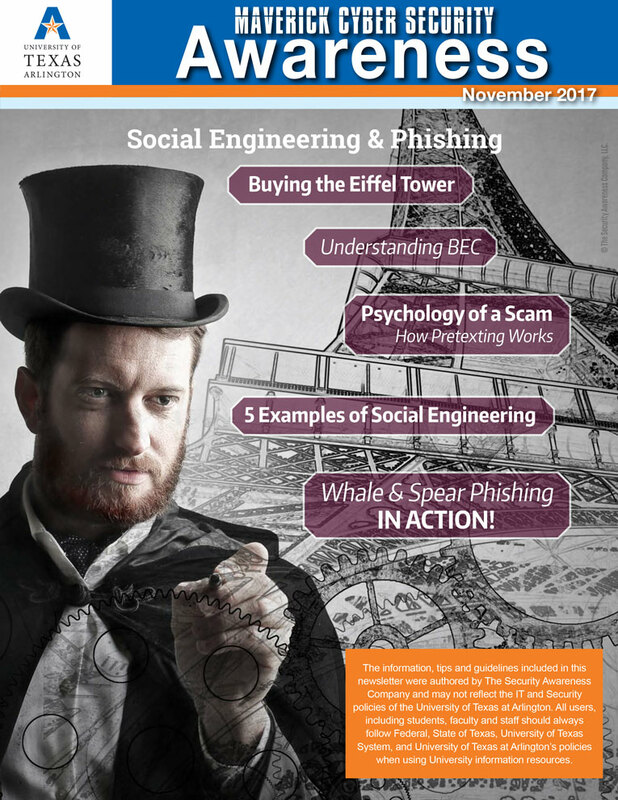 This newsletter adds some context to the most successful attack method ever devised - Social Engineering. 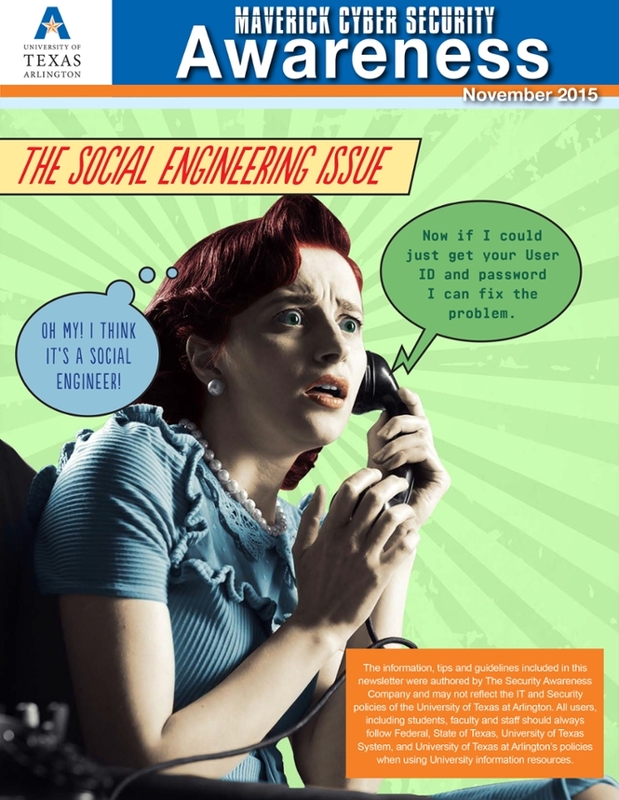 Yes, Social Engineering attacks work because the bad guys attack YOU - the human - and not the technology. 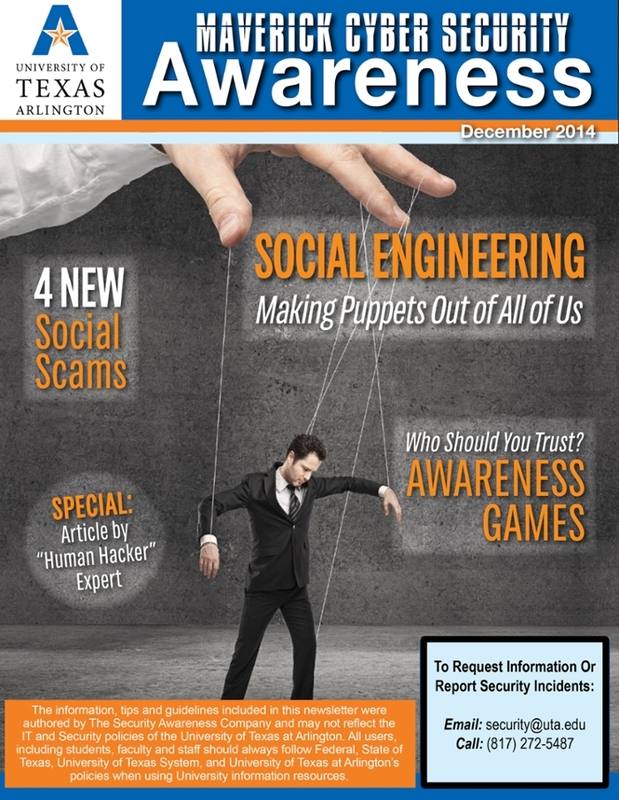 We’ll look at Social Engineering throughout history, going back more than three millennia. 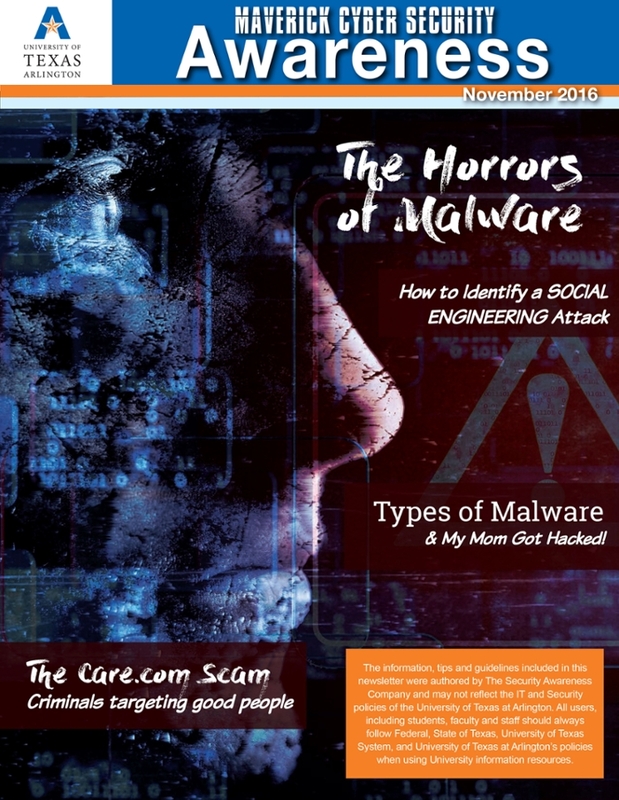 The hostile world of malware, viruses, Trojans and more! Did you know that the majority of successful cyber-attacks include malware? Some people believe that mobile devices are immune from malware, but with Facebook and an endless number of Apps, nothing could be farther from the truth. 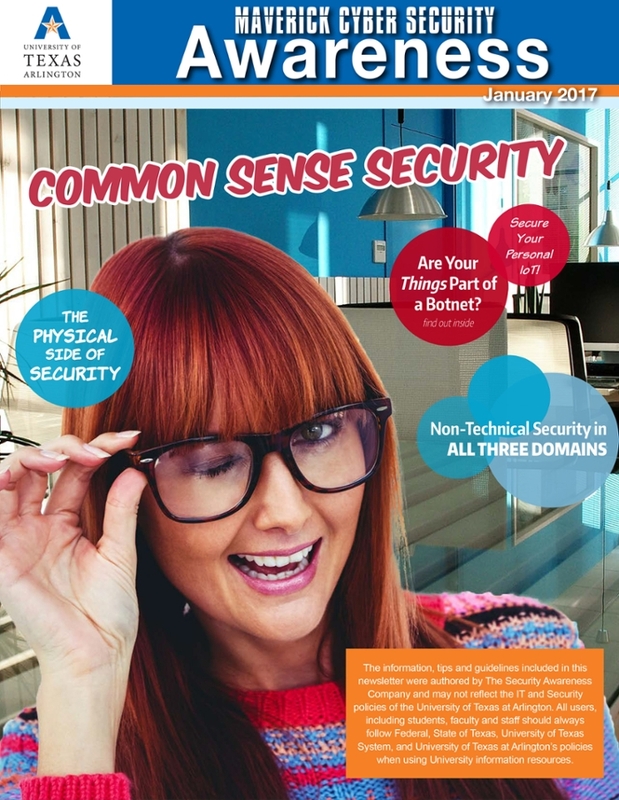 Take a look at this engaging issue and see if your 'malware smarts' are up to par! 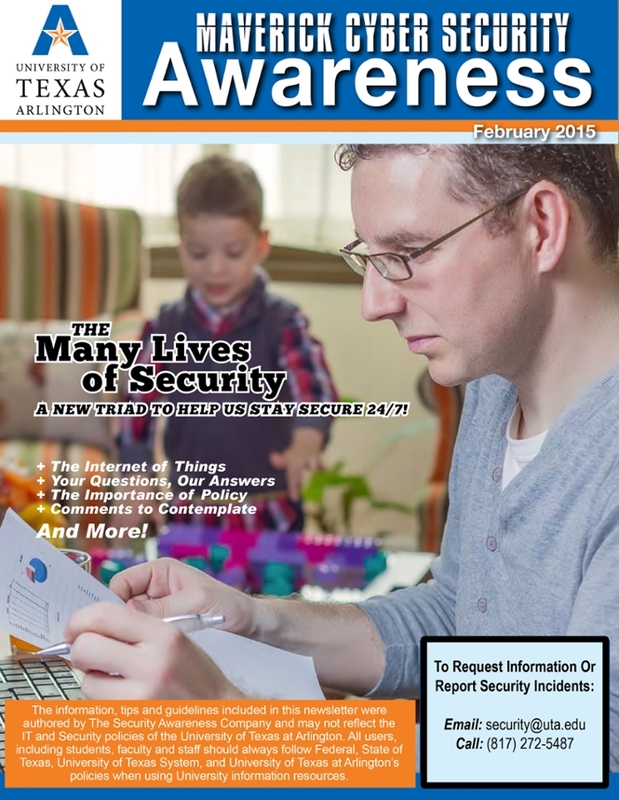 Newsletter about all things security, from A to Z. 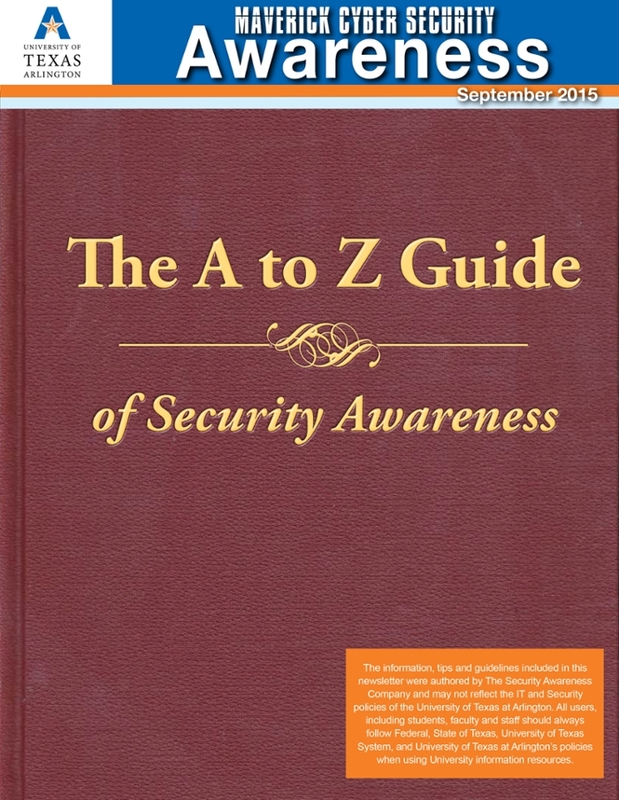 What are the 'A-B-C's of security awareness that begin with a 'Z'? What about an 'X'? Or how about the awful Scrabble letter, 'J'? All it takes is a little bit of awareness and minding your 'P's and 'Q's to notch your security profile! 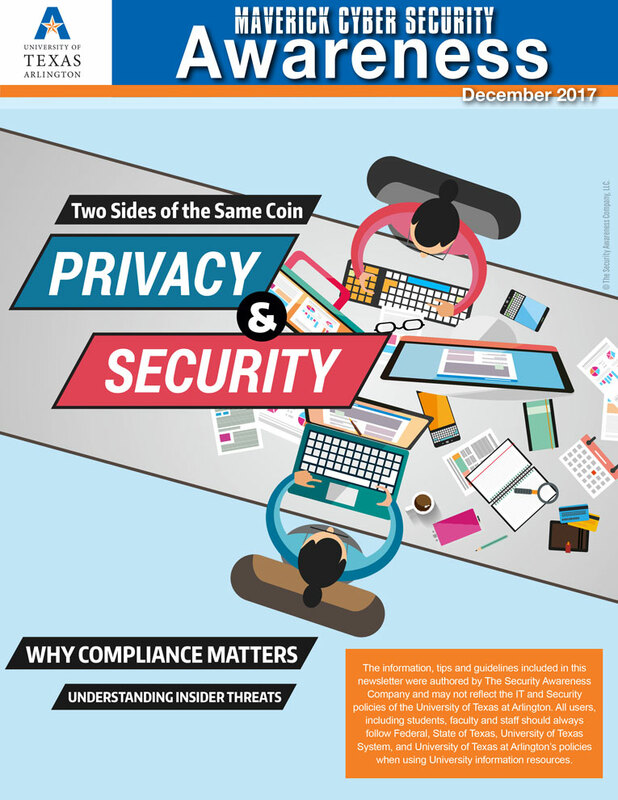 Privacy – defining what is PII, the many different lives of PII, the difference between Privacy versus Security, and how to protect yourself and your family from Identity Theft. 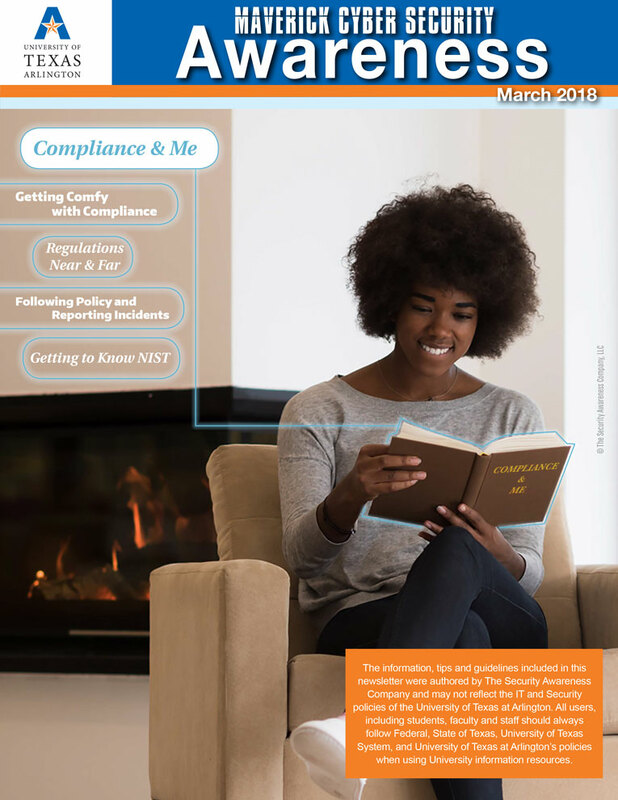 BONUS – a full-page compliance chart of compliance standards related to privacy! We hear the term used a lot but many still don’t truly understand what is meant by “the cloud.” A simple explanation: the cloud is someone else’s computer. It’s not yours. And that is exactly why there is so much debate about security in the cloud. 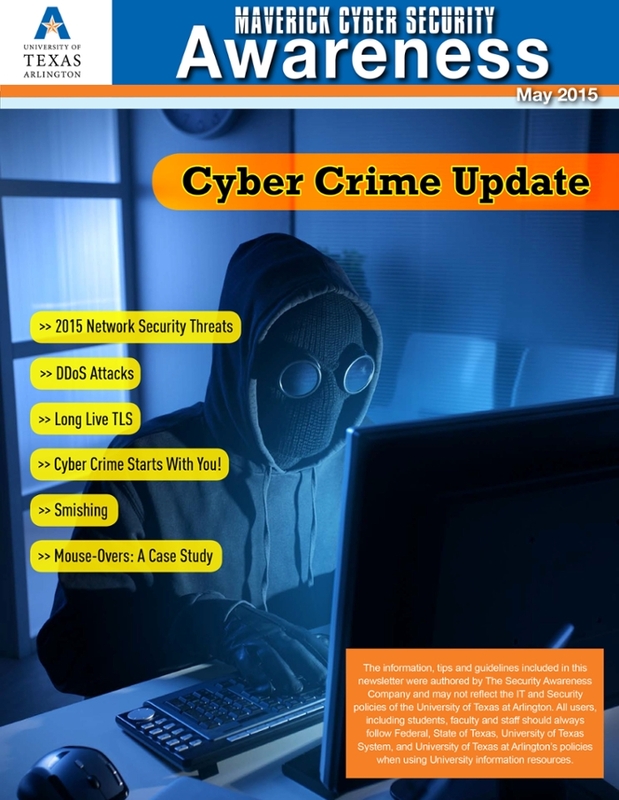 Review of 2015 network security threats, what are they and how to avoid them. Did you know that passwords are only one small part of identifying yourself to a computer, a network or any online service? 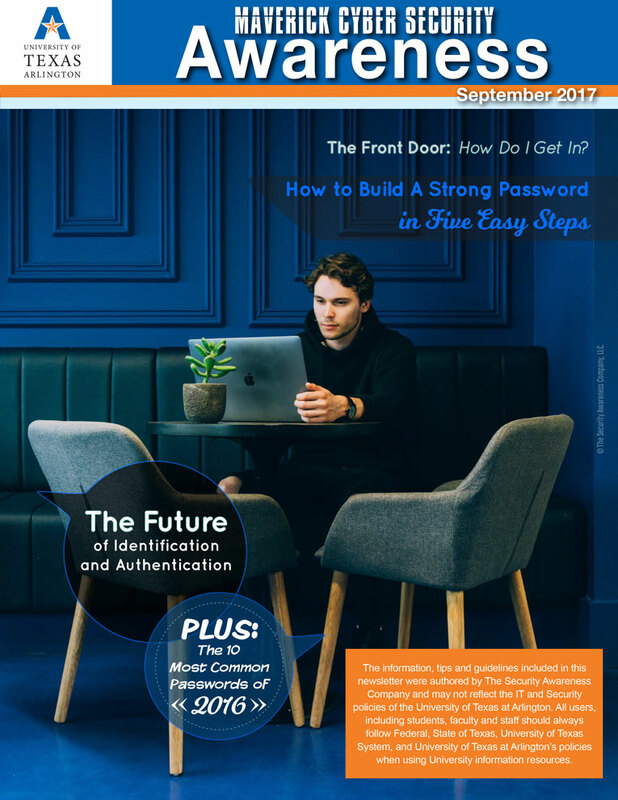 Accessing hardware and software resources, also sometimes called the front door, usually consists of two components: Identification & Authentication, or I&A. 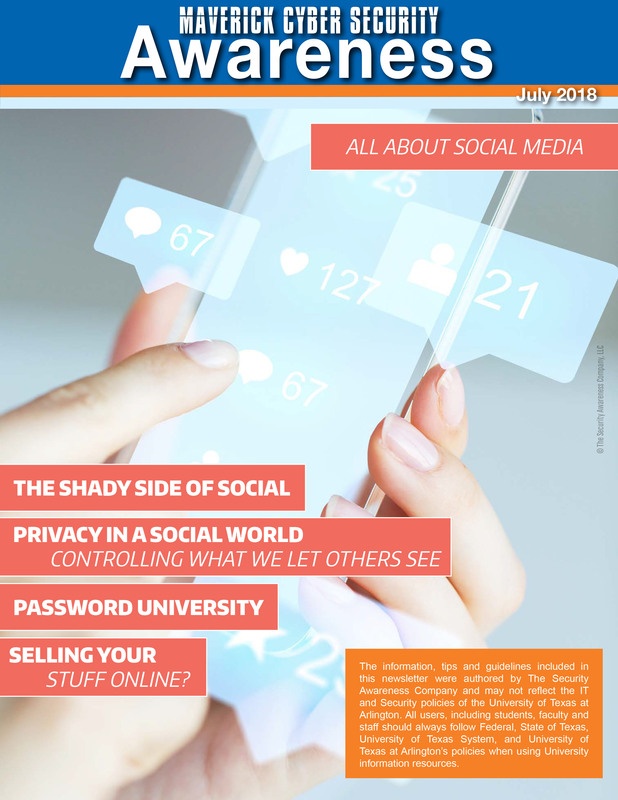 Properly using social networks and media can be quite complex and the security issues even more so. ? The security and privacy settings can change overnight and you never know when a hosting company (ISP, social media platform) might get hacked, violating your personal lives even further. Security in our personal, professional, and mobile lives as newer technology causes overlap in areas that were distinct at one time. 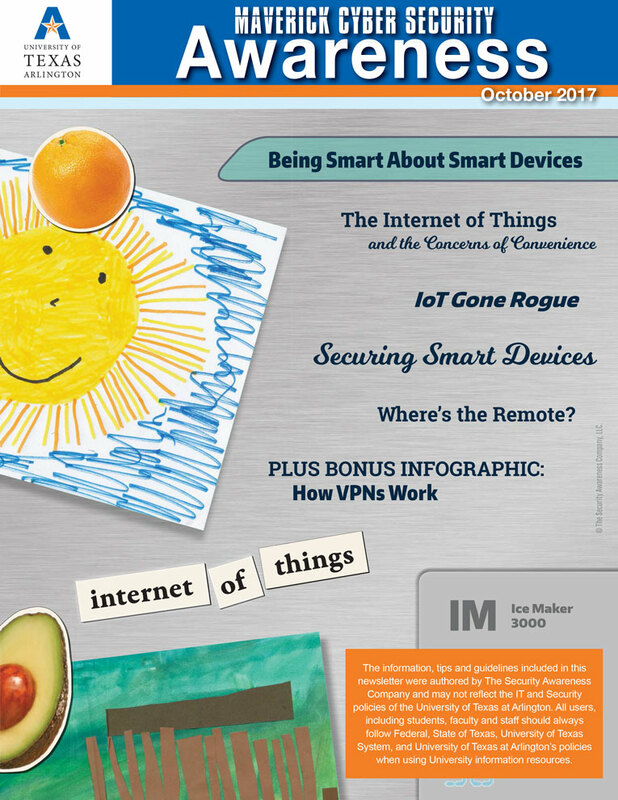 This issue also addresses the internet of things, a question and answer section, the importance of policy, comments to contemplate, and more. 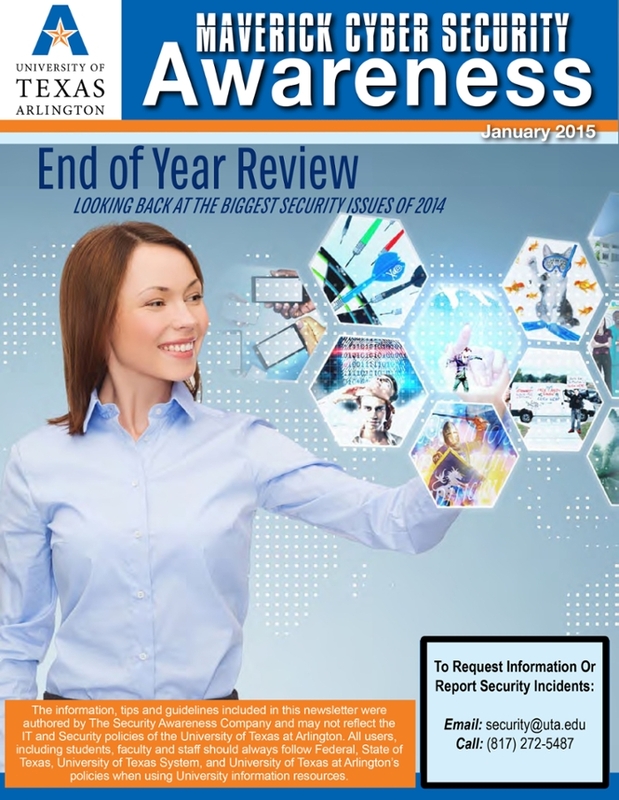 The biggest security issues of 2014 to include top 5 security threats, notable data breaches, critical infrastructure protection, and the use of USB drives and data loss. 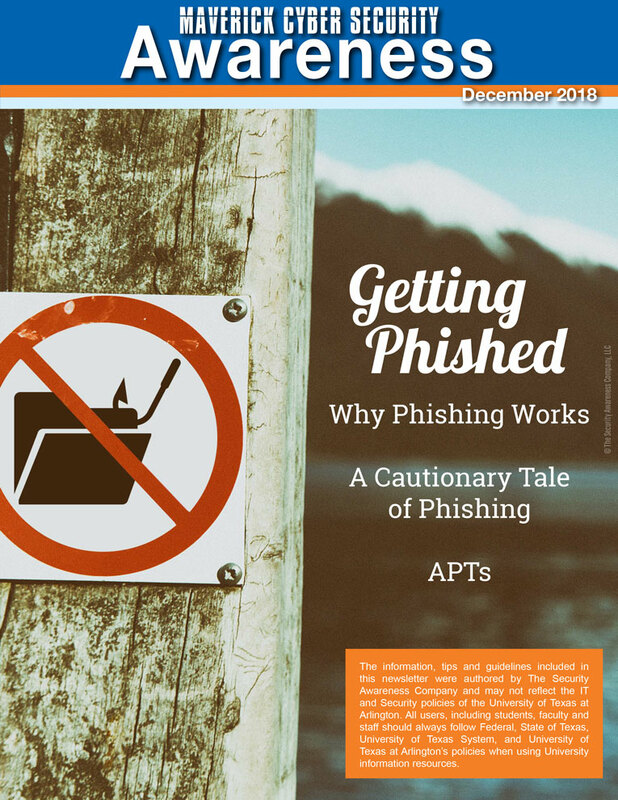 Phishing Issue covering the different types of phishing, and realistic phishing email examples that can prove useful at work and at home. 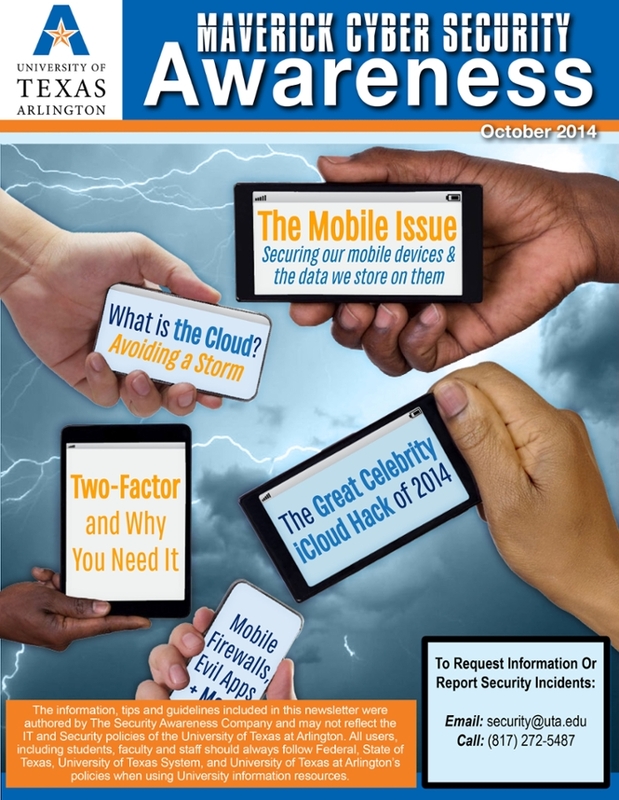 Focusing on securing our mobile devices and the data that we store on them . 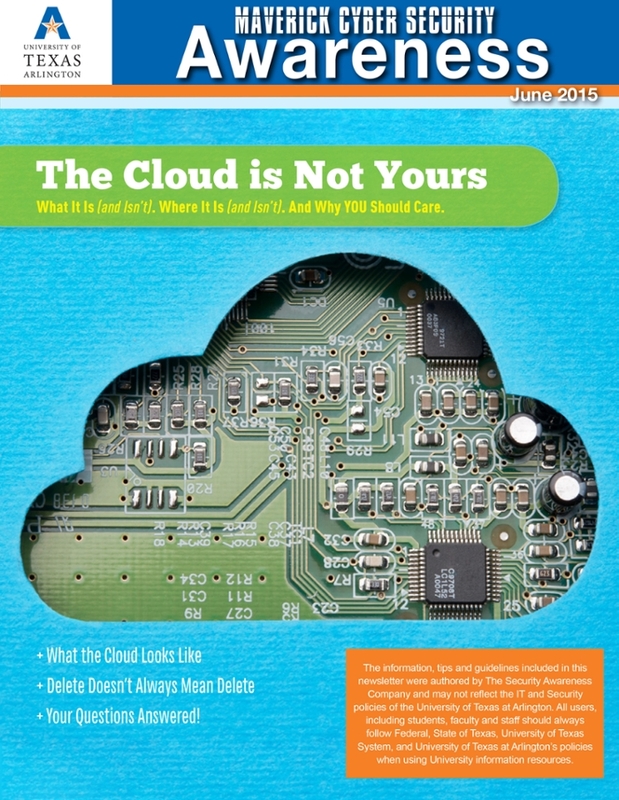 Special topics of interest include the iCloud Hack of 2014, exactly what is the “Cloud”, and the basics of Two-Factor. Read up to learn more! 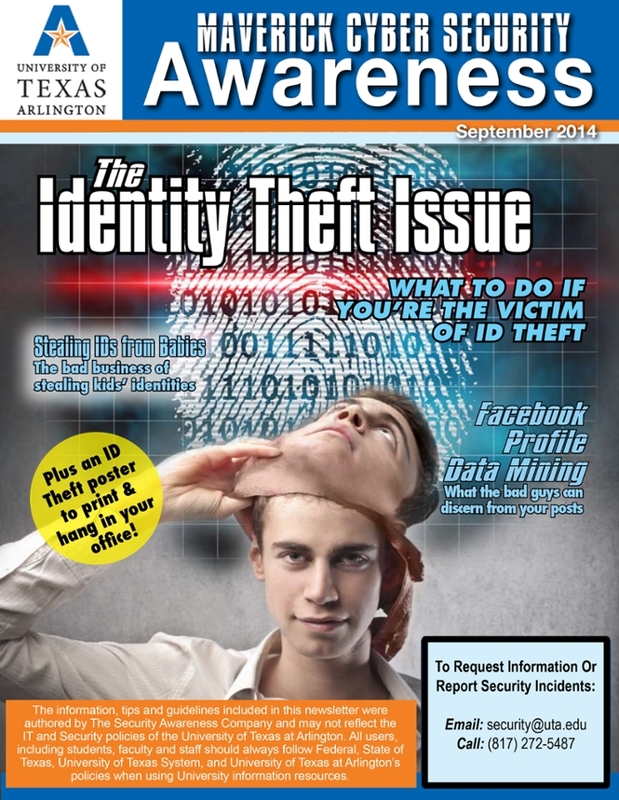 What to do if your're the victim of ID Theft. Identity theft can take many different forms. For example, a criminal might try to log-in to another customer’s account and make transactions without their authorization. Or another might use a stolen credit card number to buy products and services.